A man who was running from police tossed a 9mm handgun onto the ground before he was caught and arrested Saturday afternoon. Officers arrested 32-year-old Joseph Ginter of Salina after a short foot chase. Police Captain Paul Forrester tells KSAL News that an officer on patrol observed Ginter and another man acting suspiciously. The officer stopped them and asked their names. The officer learned that Ginter was wanted on a district court warrant and told him he was under arrest. 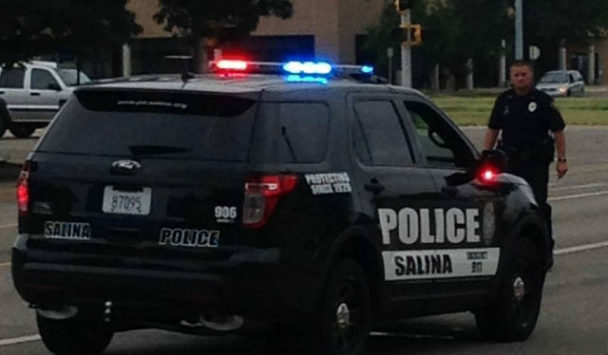 Ginter then ran, knocking down a fence in the 400 block of S. 8th, at one point he ran through Salina Regional Health Center. Officers arrested him a short time later in the 300 block of S. 5th and found a stolen cell phone in his pocket and a small baggie of methamphetamine on the street. He is now facing multiple charges that could include felony obstruction, felon in possession of a firearm and drug possession.